In the teacher world, there is no greater joy than sharing your passions with your students. This year my students and I have learned and grown so much together. I am so grateful to them for always being so enthusiastic about trying out new things with me. This journey started earlier this year with Genius Hour and passion projects, then we incorporated STEM activities with MakeyMakey kits, and last we ended the year learning to code with Code.org. Along the way things were messy, we failed at various things, and ultimately we learned so many valuable lessons about what true learning looks like. In fact, our new favorite motto is F.A.I.L = First Attempt In Learning. We had so many successes this year it is hard to pinpoint our greatest. However, I can say my proudest moment occurred just this week when my students showcased their learning for Chancellor Fariña and members of the press. The Chancellor visited our class to issue a press release and watch my students during a coding lesson. During her visit, the students shared with the Chancellor their knowledge of computer science and taught her some of the basics of coding. They exuded confidence and excitement, despite the many visitors and cameras present in the room. The Chancellor was at our school to announce the start of a new NYC elementary school pilot, SEP Jr., set to start next year. The goals of SEP Jr. is to increase the number of elementary school students, particularly from traditionally underrepresented groups, who learn computer science, and to develop students’ computational thinking and problem-solving skills in real-world contexts. (for more information click here). I applied for this pilot program on behalf of my school team and was thrilled to learn we were chosen of 110 applicants to be one of 11 selected elementary schools! What a great way to end a wonderful school year. 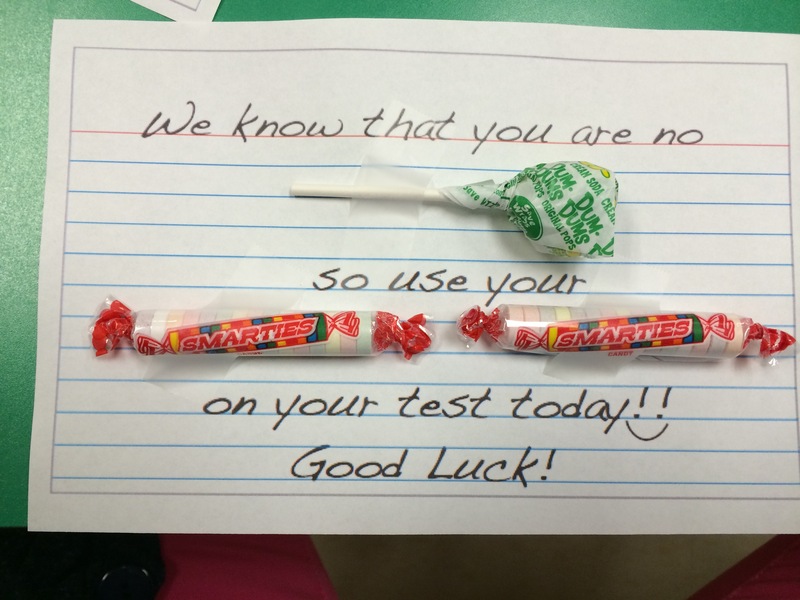 Testing time can be stressful for all involved! 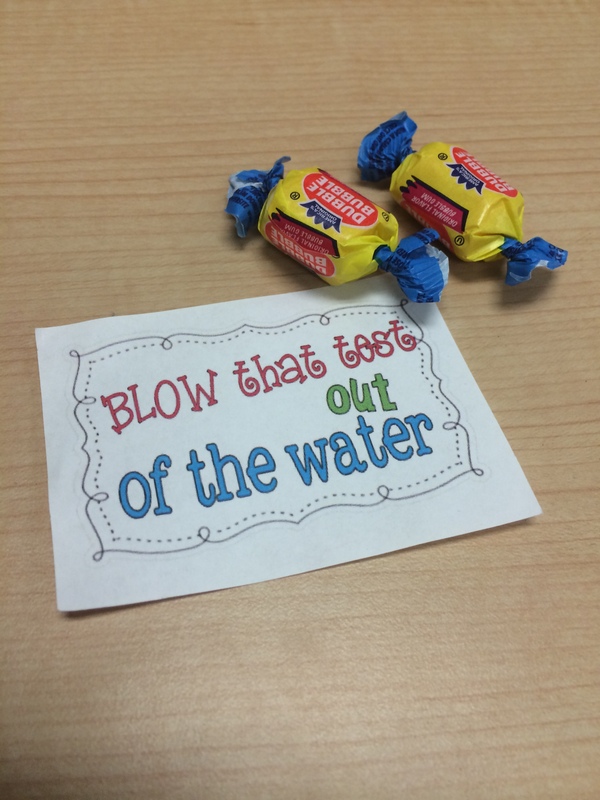 So to ease testing anxieties a bit, I decided to create candy-gram treats for my students last year and place them on their desks each morning. 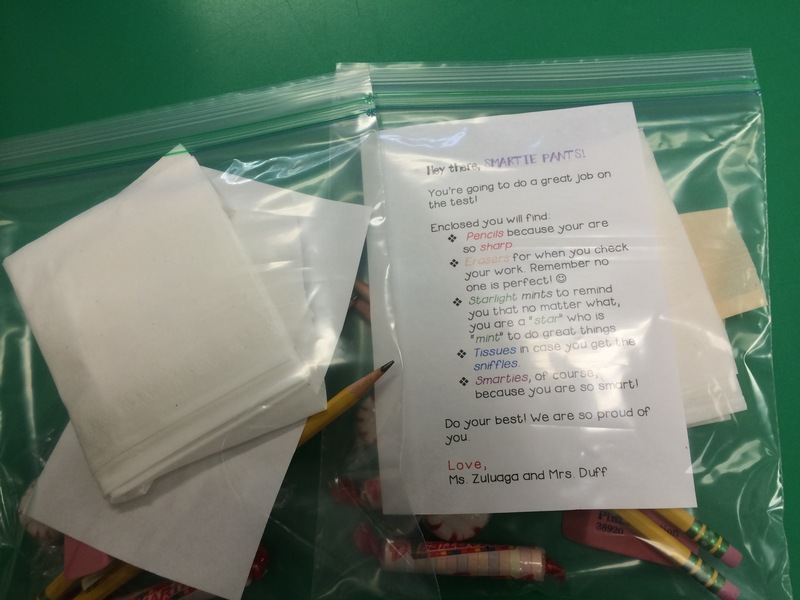 They loved the silly messages and special treats and were actually excited to come in each day in anticipation of each day’s surprise. 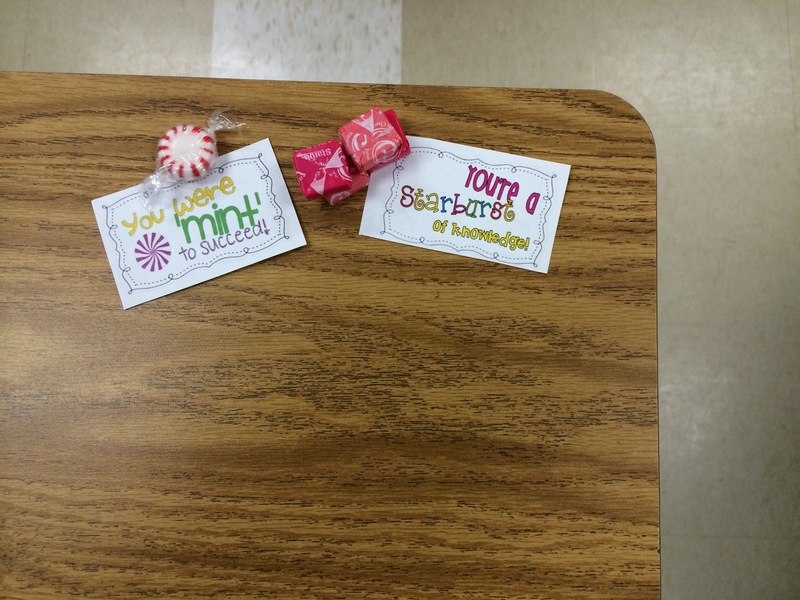 Rather than reinvent the wheel, I turned to Pinterest and Google for treat labels that were already created by other teachers, saving me a ton of time. The prep work took a bit of time, but it was totally worth it! 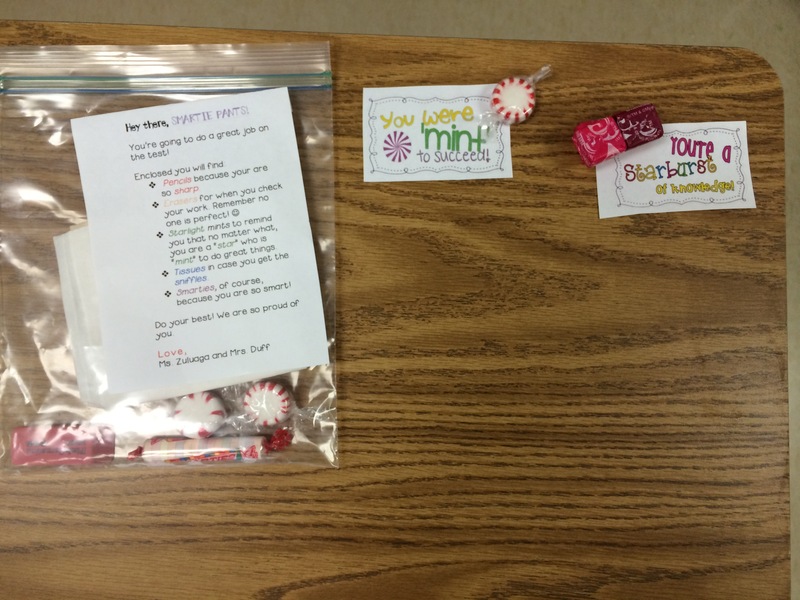 Below are some pictures of the treats and links where you kind find the labels to create your own. 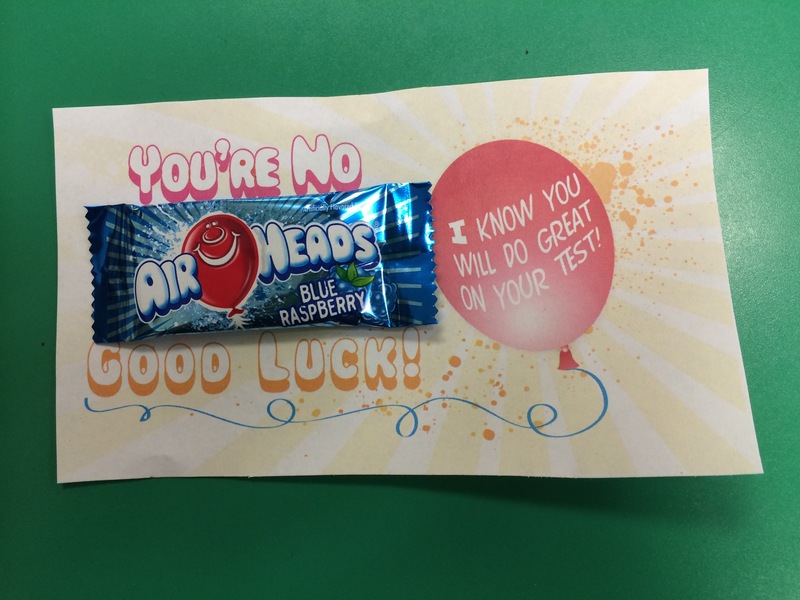 Happy Testing! Tomorrow marks the first day officially back to school for many educators, including myself. While I am excited to meet my new class and get myself back into the routine of work, with it always comes a little anxiety. Students have had two months of unstructured fun and getting back into the groove is just as difficult for them as it can be for us. So I was excited to learn that Headspace has a highly discounted price for k-12 educators. Last year, with the guidance of my co-teacher, we began meditation in our classroom to help students practice mindfulness and teach them ways to calm their minds and bodies. Building off this, I was on the hunt for some help to get things rolling this year and that’s when I discovered the HeadSpace educator discount. Headspace is offering all k-12 educators in the US a one-year membership for the incredibly affordable fee of $12/year. This saves teachers a lot, considering their annual subscription is normally $7.99 month. WOW! Thank you Headspace for recognizing teachers and offering this reduced subscription fee. Enrollment was a breeze and I was verified and signed up in under 5 minutes. Just head over to https://www.headspace.com/educators. Scroll to the bottom of the page and hit the “subscribe now” button. From there you will enter some information and will be prompted to upload a picture of a document that verifies your current status as a teacher. A short time later you will receive a coupon code for your discounted subscription to a year of Zen. Why meditate? Meditation is well known for reducing stress, but did you know that it also increases focus, attention and the ability to ignore distractions? It is even said to build immunity and compassion. Sign me up! If you haven’t yet figured out how to incorporate Computer Science (CS) into your classroom, than the Hour of Code is perfect for you! And if you already are incorporating CS into your classroom, than the Hour of Code is a fun way to introduce students to different Computer Science programs that they may want to explore on their own. This year I was lucky enough to be selected to be on the Hour of Code and CS Ed Week Review Committee, so I can tell you firsthand there are many exciting projects to choose from – and more coming soon! Check out the committee here (Shameless Plug)! The Hour of Code is a global Computer science movement that reaches tens of millions of students in countries all over the world. The Hour of Code takes place each year during Computer Science Education Week. The 2016 Computer Science Education Week will be held December 5-11. Hour of Code activities are easy to implement and give students exposure to CS concepts. It includes both online and offline (unplugged) activities aimed at making students excited about learning more about Computer Science. Computer science is said to open more doors for students than any other discipline in today’s digital world. It is important that digital natives learn not only how to be consumers of technology, but also producers of technology. As educators, we should equip our students with the skills they need to succeed in the career’s of the future, and computer science does exactly this. In addition, what I love about computer science is how it teaches a kid to persevere and practice a growth mindset. Things will get tough, they will struggle, and they will learn this is the path to success. Check out Code.org’s site to get started! Do not be scared, the highlighted activities were all selected for teachers with NO EXPERIENCE. So pick one and happy coding! Stay tuned for some exciting new updates to be released soon too! Need help getting started. Feel free to reach out to me so I can help. I have been incorporating brain breaks into my classroom for over 5 years now using my trusty brain break cards. However, last year the Wellness Teacher introduced me to GoNoodle and I am hooked. If you are a teacher, I probably do not have to tell you about the importance of frequent breaks for learners. But in case you haven’t heard of this new craze, a brain break is simply a break for your brain that incorporates some movement. Although it sounds disruptive, these quick breaks actually increase engagement and stamina in students.The short periods of exercise improve the physical health, mental awareness and educational success of children. GoNoodle is like youtube for brain breaks. A free account allows you to set up a class and watch videos that vary in length and content. After selecting an avatar, you can make it grow and morph as you accumulate time spent watching videos. Check it out and I know you and your student will be glad you did. Since it is testing season, I should highlight the video – Take a Breath. 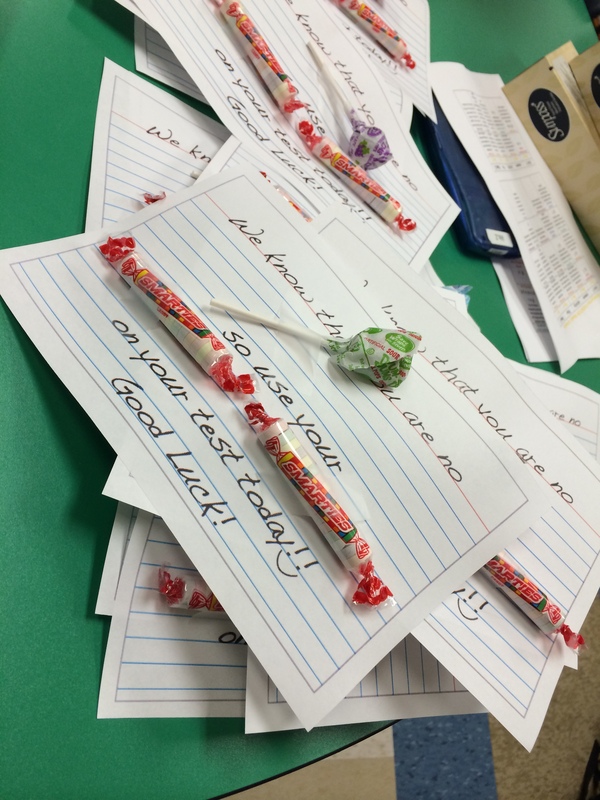 My students really enjoy doing this before any test prep activities! March is said to “come in like a lion” and I couldn’t agree more. 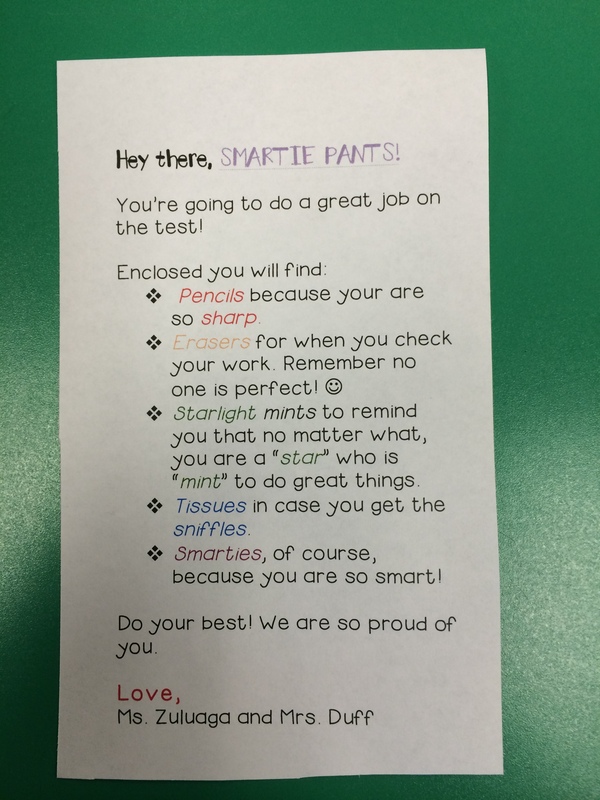 As the month begins, we teachers are all about to enter the season that leads us up to the biggest event of the school year -standardized testing. As we scramble to review what we can and encourage students along the way, nothing will prepare us better than being well organized and planned. For me, this meant mapping my daily teaching points out on a monthly calendar (grab one here! ), then plugging in all the resources I had into these lessons. I also set aside 9 days for 3 full “mock” exams, knowing that this would greatly benefit my students and work out all the kinks! 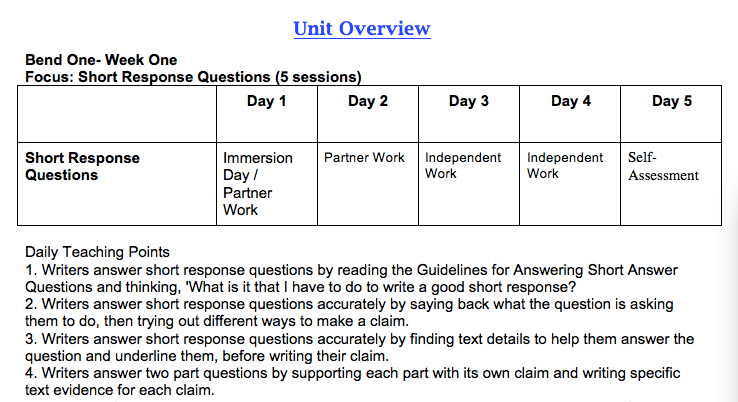 Most importantly, I created my Writing Unit Plans for my Writer’s Workshop Unit: Getting Writers Ready for the Common Core and Standardized Tests – TCRWP. These lessons were written for 4th grade, however the unit is identical for grades 3, grade 4, and grade 5. Which means the teaching points are valid for all, you’ll only need to switch the resources used (I reference NY Ready in my lessons).